Battered. Bruised. Down to 12 men. Nothing could deny the Blues their ultimate triumph. A dominant display in Game I was followed up with a Game II victory for the ages, ushering in a new era of success for the Blues and NSW Rugby League. Following 12 years of heartache, the Blues were on a mission to quell the nightmares – and boy did they do just that. 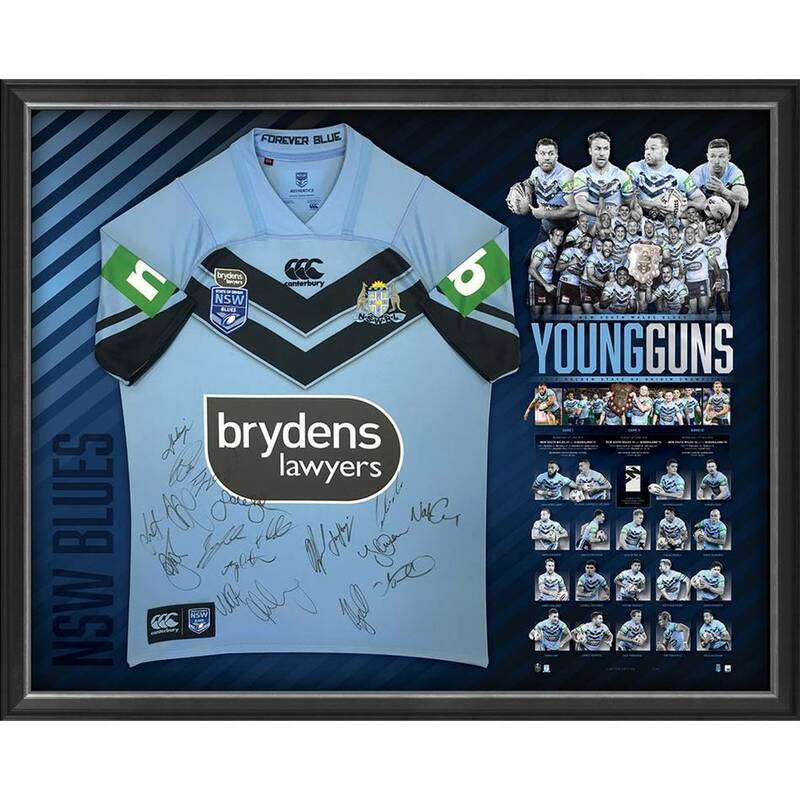 Official Memorabilia, in conjunction with the NSWRL, are proud to release the Brydens Lawyers NSW Blues 2018 State of Origin Success Jersey. Celebrating the Blues’ emphatic 2018 State of Origin Series triumph, the premium jersey display is limited to just 100 editions worldwide. 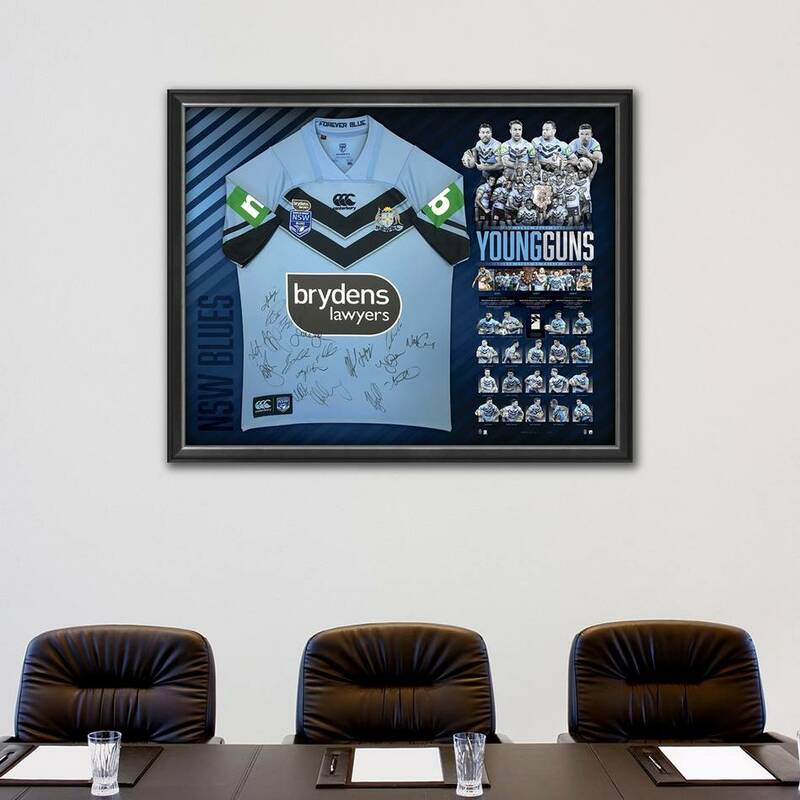 Personally signed by the NSW playing squad from the 2018 Holden State of Origin Series, this magnificent piece comes officially licensed and endorsed by the NSWRL & RLPA for your peace of mind. This limited quantity won’t last long – act now to avoid missing out on your piece of State of Origin history.